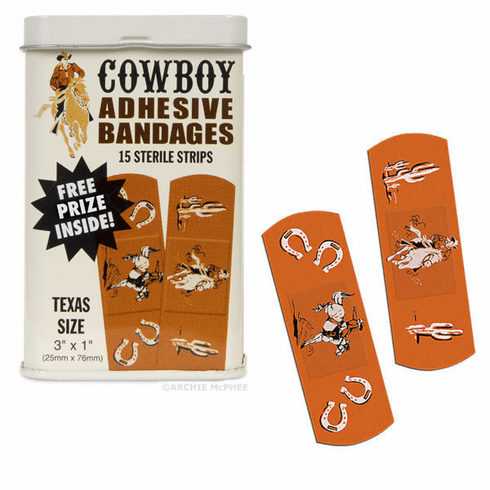 Even cowboys get owies! Each 3-3/4" (9.5 cm) tall metal tin contains fifteen 3" x 1" (7.6 cm x 2.5 cm) latex-free adhesive bandages with sterile gauze and a FREE PRIZE to take your mind off of the excruciating pain. Two different styles in each tin.